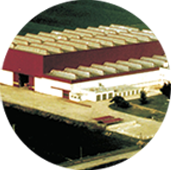 Petroncini Impianti designs, manufactures and installs processing plants for coffee and similar product like peanuts, barley, pistachios, almonds, hazelnuts and cocoa. We can customize them according to your needs and make them fully functional. The almost century-old experience in the field of coffee roasting has allowed Petroncini Impianti to develop the best solution for each customer, in order to fully enhance the productivity of SMBs and large companies. Indeed, we provide roasting technologies that can meet each type of coffee consumption: from Espresso to Instant coffee, from Filter to Turkish coffee. Nowadays our machineries can process from 3,5 kg per hour up to 3,5 tons per hour and we provide them with an extensive range of equipment that is integral part of the plants: from the green coffee intaking to the ground coffee storaging and packaging. The story says that Ruggero Petroncini, a master craftsman with a strongly creative attitude, founded Officine Petroncini in Bologna in 1919. At first, Ruggero shared his dream of building a business with a fellow friend who had the same passion for coffee roasting. Unfortunately, the two were soon torn apart by different thoughts about roasting: Ruggero fostered the convection roasting technique, which uses a hot air stream to transfer heat to the coffee beans. In his opinion, no other method could allow the coffee beans to develop such intense aromas and flavours. 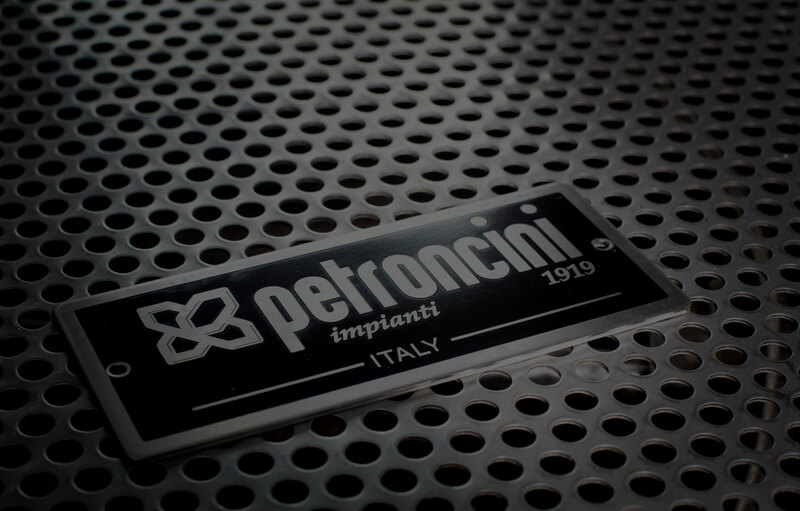 And so it was that Officine Petroncini has since developed and enhanced the technology connected to the roasting convection technique, becoming one of the leading companies in the field of coffee processing. Since 2016 Petroncini has been a part of the IMA S.p.A, COFFEE Division, the only group at world able to offer fully integrated turnkey solutions, from the green coffee intake up to roasting, from the grinding up to the final package in capsules, pods, or bags.